Do you remember the thrill you experienced the first time you heard about Google Street View 6 Websites To Do Some Virtual Globetrotting With Google Street View 6 Websites To Do Some Virtual Globetrotting With Google Street View Google Street View is a feature both on Google Maps and Google Earth that brings you panoramic 360 degree views from many locations around the world. It started from the United States and now embraces... Read More ? The fact that you could zoom in on a map right down to street level and travel around a town or city just about blew my mind when it made its debut in 2007. Now, it’s standard, and I rarely even bother using it. Sorry, Google, but all that effort has been wasted. I mention Google Street View because Worldcam is currently eliciting a similar response in me. It uses a completely different system and shows images that are of a very different style than the panoramic vistas offered by Google, but the sheer scope of what the service offers is so immense that you can easily lose hours in its grip. 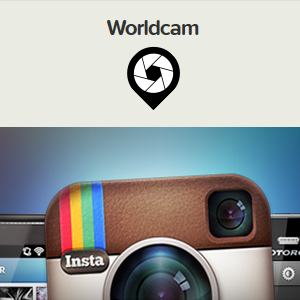 Worldcam has been created with a very simple mission in mind – to help people search Instagram by location. It was created as a hobby by Oskar Sundberg and Per Stenius, with a little help from some of their friends. It uses the APIs of four distinct services – Instagram, Foursquare, Geonames, and Geoplugin – to achieve its goal. 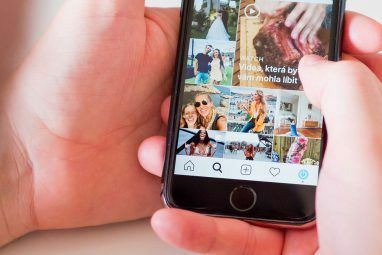 The result is a chronologically ordered feed of the photos uploaded to Instagram tagged by location. You probably shouldn’t expect to be able to “look inside any building in the world” as Gizmodo suggests you can, but by searching hard and long enough you could stumble across gold. It only takes a staffer who works at a big company to post a picture of their workplace environment to reveal something you wouldn’t get to see under normal circumstances. The following are the first three places I searched for on Worldcam. They are merely examples of the images that can be found without any bother using the service. It may only be a shot from outside the entrance to Apple headquarters in Cupertino, California, but it’s still a photo I’m never likely to bag for myself. I’m anything but an Apple fanboy 8 Essential Twitter Accounts for Apple Fanboys 8 Essential Twitter Accounts for Apple Fanboys I’m not an Apple fanboy myself but I do know a few. They don’t deserve the treatment they receive, and have done throughout history. They’re still human, and still people who need love and attention... Read More , but even I’d like to see where the magic happens for myself. A distant shot of, and overlooking, Skywalker Ranch in Nicasio, California. This is where George Lucas works, imagining new ways of making money from the Star Wars name by selling out to anyone who’ll pay. And who can blame him? I’m not into baseball, but Yankee Stadium in New York is one of those places I would love to visit. Purely because it has been referenced and/or featured in so many movies, television shows, and newscasts. This photo will do for the time being. The three examples above are places I’m never likely to visit, despite any desire I may have to do so. If I don’t make it to these locations, then Worldcam – and by extension Instagram and Foursquare as well – have allowed me a filtered view of these landmarks. There are places I will definitely visit, and Worldcam proves its usefulness here too. In all the many times I have visited London I have never ventured out to Abbey Road and been snapped traversing the crossing made famous by The Beatles 10 Websites For The Beatles Fan & His Beatlemania 10 Websites For The Beatles Fan & His Beatlemania Read More . Now I know I have to do it, and soon. 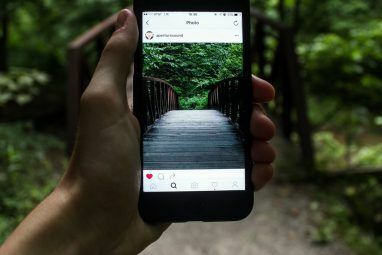 There are some fantastic photographs on Instagram, ones that completely overpower their humble smartphone origins by way of being creative or artistic. Worldcam offers the chance to find those epic shots of iconic buildings, and in a really simple, easy-to-use manner. This may seem obvious but it’s an important thing to remember. If you have a particular place in mind that you want to see photos of, don’t go searching blindly; instead Google (or Bing) it so that you know which city to type in, and then how to begin narrowing the search further. Worldcam features a ‘Popular Right Now’ option that will appear above the search bar after you enter a location. This suggests places close to that location which are being tagged in high numbers at that moment. This was how I saw images of Radiohead playing live at the O2 Arena in London as it happened. You’re not limited to viewing any photos you find on Worldcam on Worldcam. If you want to explore one further you can click anywhere on the image to be taken to its source location on Instagram. You can then view the photographer and view any comments made about the photograph. If you try Worldcam out then let us know what locations you ended up searching and what you found there. Do you like the way Worldcam uses four different APIs to create a completely new service? Are there features you’d like to see added in the future? Do you like the way Instagram is presenting the world through the blurry lens of a smartphone owned by a hipster? Let us know your thoughts in the comments section below. Explore more about: Geotagging, Instagram, Photo Sharing. Great article and great information! I love sharing photos and I tend to use photos more than I text to get my point across as well as video. 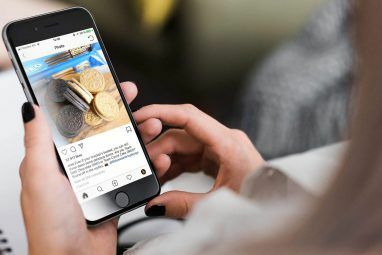 It’s all about sharing photos with a large range of categories, but in a social setting to allow others to join in on the topic, event,sharing as well as being able to blog about your interests. Keep up the great articles and thanks. Doesn't instagram already kinda do this? Yes, but Instamazing doesn't do the same thing. It doesn't allow you to see photos from a specific location. Just general photos from a city. I use instamazing.net instead, it works great. Good suggestion, but it works differently, and requires you sign in to Instagram.